With the popularity that BMW (Bayerische Motoren Werke) has, it is very easy for one to think that this company never experienced any challenges after its inception. The reality is, this company faced numerous challenges. As a matter of fact, BMW saw some of the darkest moments in European history and had it not been for its quick decision to diversify, the company would be no more. If you are curious about how BMW came to be, then you are in the right place. Read on. BMW was formed in 1917, and it has been through several important developmental stages. BMW was a product of three manufacturing companies: Rapp Motorenwerke (founded in 1913 by Karl Friedrich Rapp), Bayerische Flugzeugwerke (founded in 1913 by Gustav Otto), and Fahrzeugfabrik Eisenach (founded in 1896 as a stock company). Until 1918, Rapp Motorenwerke and Bayerische Flugzeugwerke were separate companies. In 1918, Rapp Motorenwerke absorbed the struggling Bayerische Flugzeugwerke as it was already established—in fact, it had already begun using the name BMW. BMW adopted Fahrzeugfabrik Eisenach in 1928, and this acquisition influenced BMW’s decision to shift from the manufacture of airplane engines to designing civilian automotive vehicles. The first car that BMW manufactured was not their design—they borrowed it from Austin Motor Company. 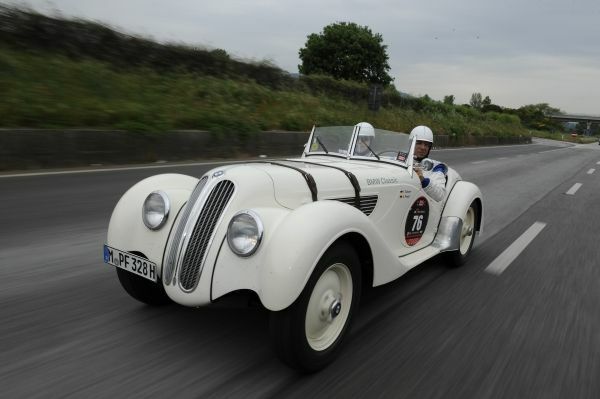 It was not until the year 1932 that BMW started using its own designs to manufacture its first car. It’s true that the company stooped too low when it decided to borrow designs, but it is this decision that brought them where they are now. BMW was on the brink of extinction for the better part of World War I and thus, it was struggling to survive. During World War II, BMW was committed almost entirely to manufacturing motorcycles and aircraft for the German army and German air force respectively. This was expected, especially because most production plants and manufacturing facilities in Germany came under the control of the government. It is also the reason civilian automobile production was put on halt until after the war. Manufacturing for the German military was a challenging task, and BMW had to employ foreign workers so as to keep up with the production demands. These workers replaced and took over the roles of the German men who had been drafted into the military. BMW went through a tough time when the Allied forces took control of their plants and dismantled them. Can you imagine that they had to produce pans, pots, and other kitchen utensils to prevent complete destruction of their company? Honestly, this was a challenging experience; fortunately, it was not long before the company began producing automobiles and motorcycles again. While World War II affected BMW, it did not bring about the economic instability that was witnessed after World War I. Nonetheless, BMW found it extremely hard to rebound from the post-war restitution costs. In the year 1951, BMW manufactured its first automobile after World War II ended. This was not something to be taken lightly—it played a crucial role in re-establishing BMW’s reputation as the leading producers of high-quality and technologically advanced vehicles. In 1960, BMW was restructured under new leadership and management with the financial help of the German government. If there is a time that BMW flourished, it was during the 1960s and 1970s. Throughout this period, the company focused almost entirely on expansion and advancement. This is also the period that saw the formation of several modern arms of the company. In the year 1971, BMW came up with its Financial Subsidiary Organization, and this saw it gain a new type of independence. The year 1972 marked a turning point for BMW—it is the year that saw BMW start work on its overseas production plant and also launches its Motorsport Subsidiary. This subsidiary grew to be a popular subsidiary, and BMW eventually shifted its focus to building sports vehicles. In 1994, BMW bought the Rover Group, a company that manufactured sports vehicles such as the MG, Land Rover, and the Mini. Although BMW had high expectations for the Rover Group, most of their dreams were never realized. BMW eventually disposed the Rover Group in the year 2000, but it retained the Mini model. As you’d expect from a company that survived tough times in the European history, BMW has placed more emphasis on growth, longevity, and change. In point of fact, the company aims to be the leading automotive manufacturer by 2020. It’s a fact; BMW has been through the prosperous and tough times throughout the 20th century. However, the company’s determination kept them going. Honestly, how many car manufacturing companies would buy the idea of manufacturing pots and pans to avoid being forced out of business completely? They are few if any. Why? First, it is not their specialty; second, it doesn’t generate a lot of income. Simply put, it is only because of their determination that BMW is still thriving; otherwise, it would be a thing of the past. Its history speaks a lot.